Gravitational lensing is an astrophysical technique which uses the observed path of light from distant objects to both infer characteristics of foreground mass distributions, and to image background sources at much higher resolution than is possible with normal telescopes. Researchers at the University of Melbourne have a long history of developing innovative applications for gravitational lensing. 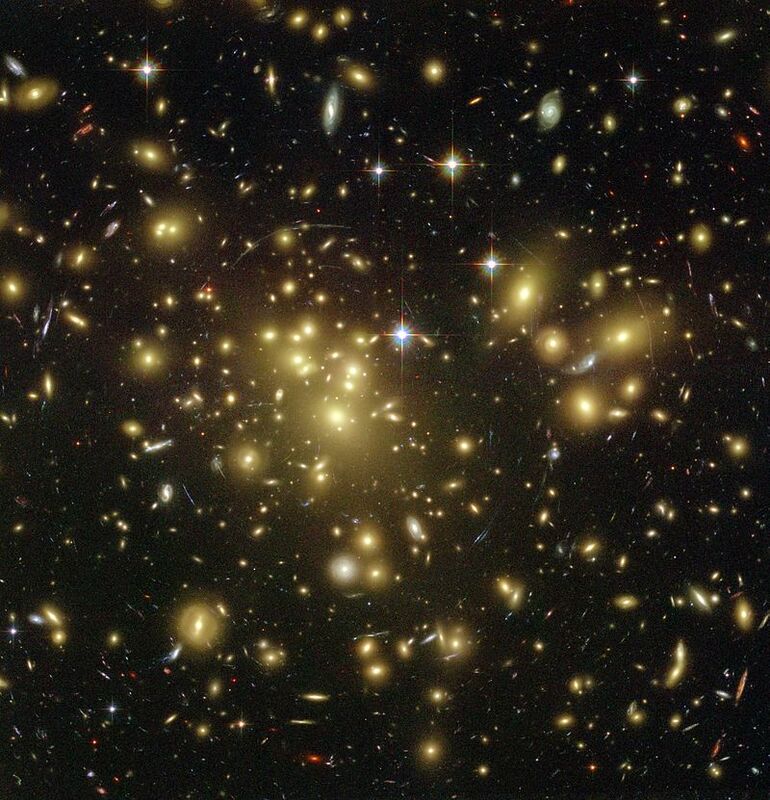 The Abell 1689 galaxy cluster acts as a massive gravitational lens in space, bending and magnifying the light of the galaxies located far behind it.